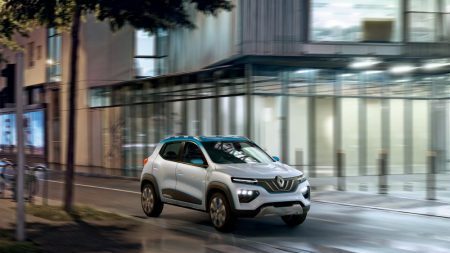 Ahead of the Paris Motor Show today, Renault has unveiled a new ‘affordable’ all-electric crossover: the Renault K-ZE. The French automaker announced the vehicle as being “affordable”, but didn’t release any pricing information. More information will be available when the vehicle is released next year. They first plan to make it available in China and Europe will follow a year later. We expect the real world range to be close to 190 km (118 miles).